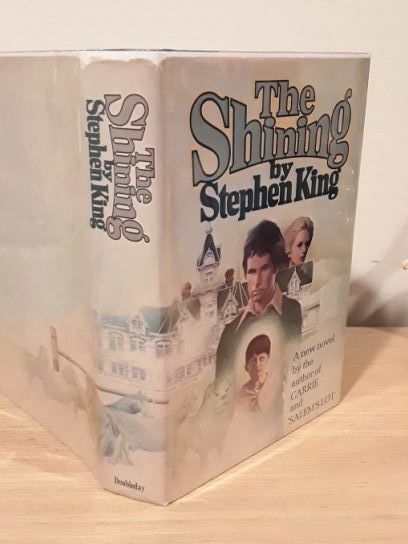 Just ordered The Shining from David. Just two more to go. Carrie and Salems' Lot and Then I will have all the First ed that I want . Only two more to go . Congrats on your latest addition. Thanks. I thought it was hard to find this one. Like many of the older ones finding a good DJ was work. But I am happy with this one. I didn't say it but I was thinking that you got yourself a gorgeous copy of this book. Congratulations on both "Shining" & "Night Shift"
Very hard to get nice copies, well done! Thanks again everyone . I have one more, non standard book that I will list tonight. Congratulations. That is a nice looking dust jacket. It's hard to find the nice ones. Thanks again everyone. The one I was going to list is not as cool as I thought it was. It's that Nightmare in the sky book. I don't think it is a first ed but still pretty cool to have. 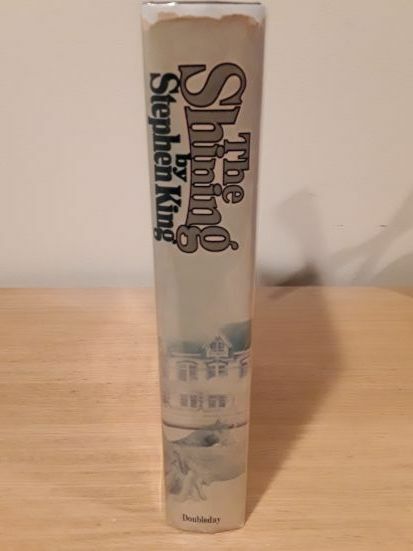 Other random books I have are "The Lost works of Stephen King" Don't think that is a first ed either. Plus I have The Gunslinger born and The Long Road home hard bound. So that's it. Like I said, two more big one to go and then I can start on some others. Both "Shining" & "Night Shift" are NICE !!! Thanks again. Can't wait until I can get the last two. Like I said, slow and steady wins the race . Added Full Dark, No Stars to my list. I had it for awhile, just forgot to update the thread. hey,even the minor additions add to the overall collecting puzzle!! Added Nightmare is the sky. As I noted on the first page, it is good shape execpt for a crease down the center of the DJ. OH well. Still a cool one to have. Well, I got a surprise yesterday. My aunt, who lives in Sarasota FL(she drove up yeterday) was able to get me a signed copy of 11/22/63. She was able to get a wrist band and I think was about the 75th person to get it signed. Plus, she also took 4 pics of him. I also have the flyer about the signing and you can clearly see the poster that it is for that particular signing. So I have all the evidence I need. So I am a happy camper . I think there were 400 signed books at this event but I am not sure of that. Congratulations, are you going to post pics? Last edited by Cook; 12-20-2013 at 09:03 AM. Sure. I can try and post some pics at some point. So I have a nice little non-DT signed book collection starting. Nice. Somehow I missed these cards while I was there...maybe they were out?